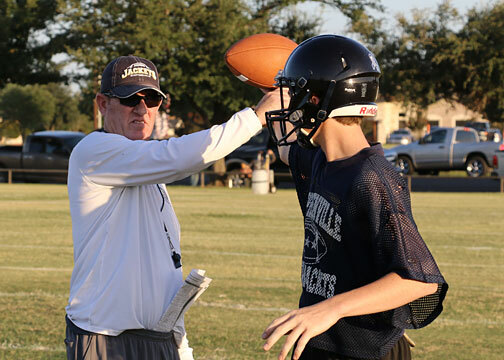 The Stephenville ISD hasn’t fired a head football coach in more than 32 years, but that all changed Monday with the termination of head football coach Greg Winder after four seasons that produced a 26-22 record. An email that circulated early Monday at first indicated Winder was stepping down, but sources close to the Stephenville ISD said Winder was terminated in what was called an “administration decision” and was told his contract was not going to be renewed. Winder had big shoes to fill after the departure of state-title winner Joseph Gillespie who left to coach college at Tulsa. Only adding pressure was Stephenville’s four other state titles under Art Briles and the Yellow Jacket faithful simply were not satisfied with a 7-4 in 2018. The Yellow Jackets struggled to 4-7 and 3-8 in Winder’s first two seasons but were on the rise the last two years with predictions this season of a state championship having to run through Stephenville. Those predictions held as district foe Waco La Vega won the state title and Stephenville dropped out in the third round with a lackluster loss to Celina. Arguably 2018 was one of the toughest schedules the Jackets have faced in a long time with matchups against two number ones (Argyle and La Vega) and a number two in Midlothian Heritage. While Stephenville’s has been viewed as a premier program the last 30 years the luster for the head coaching job at SHS has worn off some. After administrative changes separated the head coaching and athletic director positions four years ago, there was a marked drop in the quality of applications.